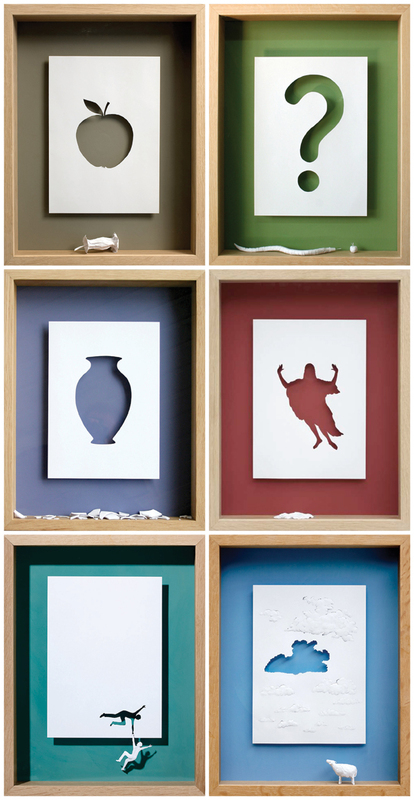 Peter Callesen creates art of simple paper sheets. Strong images, with an amazing creativity and, sometimes, humor, are the signature of the artist. Some of the paper works are coloured and framed. Others are larger installations. All these sculptures are created by using only paper. This is our selection of paper art, but you can see more here.